Multiple sclerosis, or MS, is a demyelinating disease in which the protective covering of nerves in the brain and spinal cord are damaged. This can typically result in your nerves not being able to properly communicate with your brain. Some symptoms of MS include double vision, blindness in a single eye, spasticity, trouble with sensation as well as impaired coordination. Multiple sclerosis can be fatal, but in most cases, it does not affect one’s lifespan. The cause of MS is widely debated, but some evidence points to genetic factors that cause the self-destruction of cells by the immune system. Currently, there is no cure for MS, but some treatments can be modestly effective at reducing the symptoms of the disease. Although, most of these treatments have widely undesired side effects. In some cases, physical therapy can help to improve function in those with debilitating symptoms. The disease can have an early onset but is usually initially found in people between the ages of twenty to fifty. As of 2015, over two million people are living with MS worldwide. The most widely used treatments for multiple sclerosis are medications such as immunosuppressive drugs which reduce immune responses, as well as steroids that aid in tissue growth and repair. But how can medical marijuana be used to treat MS? One of the major factors in multiple sclerosis is inflammation. As immune cells activate, inflammatory proteins called cytokines are released in the brain. This can cause brain inflammation, essentially ending in damaged neurons and progressively worsening symptoms. When ingesting cannabis, the CB1 and CB2 receptors in the endocannabinoid system of your brain become activated. The activation of these specific receptors has been directly linked to reducing inflammation. In addition to this, smoking cannabis can calm the immune system resulting in fewer cytokines being released. In addition to reducing inflammation, it can also act as a powerful analgesic to reduce pain levels. As multiple sclerosis worsens your nerve cells can become damaged, the breakdown of these cells is typically painful. It can also help to reduce constant tingling sensations in parts of the body where nerves have been damaged. By overall reducing pain in people with MS the substance makes them more comfortable, which in turn allows them to sleep better. Being able to get plenty of sleep can reduce negative symptoms that MS causes as well as improve overall brain function. One common symptom of MS is spasticity, a condition in which some muscles will continuously contract which in turn causes muscle stiffness and tightness. This symptom is typically caused by damage to the portion of the spinal cord which controls voluntary movement. In a study conducted in 2012 at the University of Plymoth, results showed that medical marijuana was doubly as effective at reducing muscle stiffness and spasms. Once the twelve-week placebo-controlled study was completed, those who had actually been given cannabis showed significantly less spasticity than their counterparts. 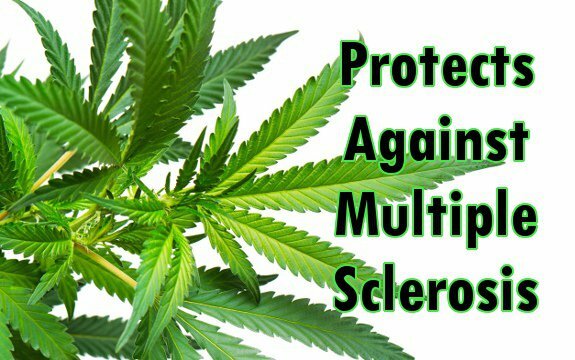 Another factor in which cannabis can help multiple sclerosis is depression. roughly 50% of people living with MS suffer from depression at one point or another. This may be in part due to the fact that damage to the nerves that help regulate mood can incur. While the cannabis’s ability to help fight depression is widely debated, if you take a hit I can almost guarantee it will lift your spirits. I personally can recommend cannabis to anyone struggling with depression.